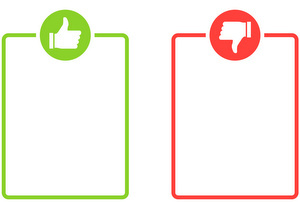 Usage notes: The French expression pour et contre can be used like an adjective or noun, but note that it is invariable. Fais gaffe ! 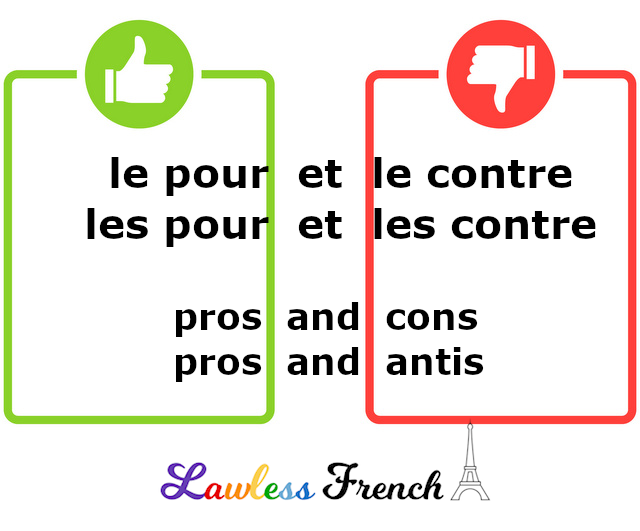 Do not translate “pros and cons” as pour et con – in addition to being incorrect, the final word is offensive.